Can Skipping Breakfast Help You Lose Weight? Skipping meals is never an option for a healthy weight loss. Experts from the University of Loughborough have established a link between skipping breakfast and weight loss. According to the study published in the Journal of nutrition, breakfast may provide close to 468 calories and it was found that those who skipped breakfast and fasted until lunchtime managed to avoid eating 353 calories in a day. Traditionally, breakfast has long been touted as the most important meal of the day. Nutritionists and health experts have emphasized the importance of a hearty breakfast for long and traditionally, skipping breakfast regularly has been linked to triggering a host of ailments. While the recent study suggests skipping breakfast as way to initiate weight loss, experts suggest otherwise. Skipping breakfast has been tied to inducing weight gain, triggering ailments like diabetes, heart diseases, migraine and an impaired cognitive function. 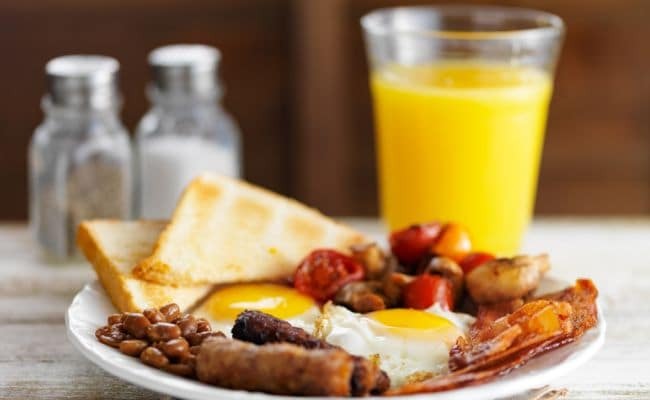 Another recently published study linked skipping breakfast with the risk of developing hardened arteries, also known as atherosclerosis, one of the primary reasons of heart diseases. "The study showed that atherosclerosis was observed with more frequency among people who skipped breakfast and was also higher in participants who consumed low-energy breakfasts," reported IANS. Earlier, a Chinese woman was operated for the removal of close to 200 gallstones from her a stomach. The woman reported skipping breakfast for nearly a decade, one of the possibilities doctors attributed to her gallstone development. Skipping meals is never an option for a healthy weight loss. One must always consume all meals, enriched with essential nutrients and all food groups. Portion control and keeping a check on calories consumed can be one of the ways to maintain, regulate or shed kilos. Make regular exercising an active part of your routine, make smart food choices.